It's an essential polyunsaturated fatty acid (PUFA) found in some plants, seafood, and, to a lesser extent, eggs and meat. Omega-3 is seen as "essential" because the human body can't produce it and so we must source it from foods or supplements. Our brains contain high concentrations of omega-3, which appears to facilitate brain growth and development, mood and behavioural function. It may also help stimulate skin and hair growth, maintain bone health, regulate metabolism and maintain the reproductive system. There are several different types of omega-3 polyunsaturated fatty acids, but the long-chain omega-3s are most important for therapeutic benefits, particularly docosahexaenoic acid (DHA) and eicosapentaenoic acid (EPA). Although many supplements contain 1000mg of fish oil, it’s the DHA + EPA omega-3s that have the best therapeutic benefits for conditions such as rheumatoid arthritis. A standard 1000mg fish oil capsule will usually contain 300mg DHA + EPA. Alpha-linolenic acid (ALA) is a plant-sourced short-chain omega-3 that’s found in linseeds (also known as flaxseed), canola, chia seeds, pumpkin seeds, tofu and walnuts. However, ALA must be converted by the body to DHA and EPA, and requires a much larger intake to achieve the same therapeutic benefits as DHA + EPA. 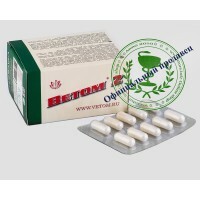 Product Code: Omega-3 Fish Oil 1000 mg (300 mg Active Omega-3) 250 капсул. Active microorganism (Bacillus amyloliquefaciens)CompositionProbiotic microorganisms - Bacillus amyl.. 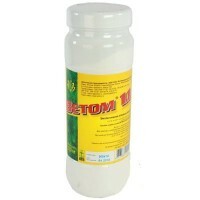 Active microorganizm (Bacillus amyloliquefaciens)Packing: polymeric banks 500 grCompositionProbiotic..